The rooms at the Hotel ELE Don Ignacio provide spaces that encompass peace and tranquillity where you can take a break next to the San José beach in the utmost comfort. With a bright and spacious design, these rooms are the ideal choice if you are looking for a relaxing getaway right next to the Mediterranean shores. We offer four different types of room at the best price online guaranteed. Choose the ELE Hotels seal of quality. The individual rooms at the Hotel ELE Don Ignacio are welcoming 20m2 spaces that invite you to rest along the sea shore. They feature a single bed, fridge, television, safety deposit box and a private bathroom with toiletries. The majority of these rooms boast a terrace. 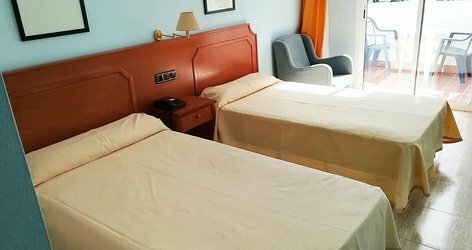 The Double Rooms with an extra bed for children at the Hotel ELE Don Ignacio have been designed so that small families can enjoy a break at the foot of the Mediterranean Sea. 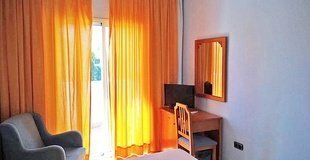 The 25m2 rooms feature a double bed or two singles, an additional bed for one child, fridge, television, safety deposit box and a private bathroom with toiletries. The majority of these rooms also a feature a terrace. 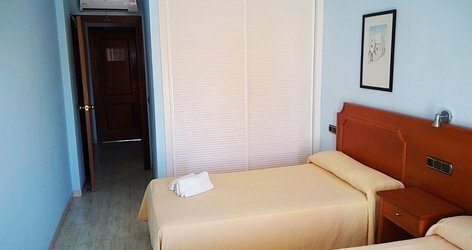 The Double Rooms with an extra bed for adults at the Hotel ELE Don Ignacio are ideal accommodation for small groups of friends seeking to enjoy a few days of relaxation at the beach. The 25m2 rooms boast a double bed or two singles, an additional adult bed, fridge, television, safety deposit box and a private bathroom with toiletries. The majority of these rooms also a feature a terrace. 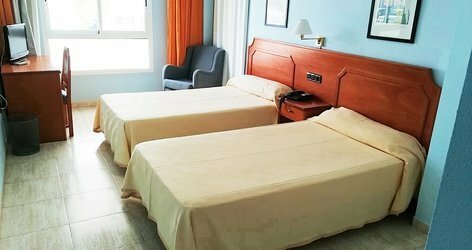 The Double Rooms with 1 or 2 beds at the Hotel ELE Don Ignacio feature an area of 25m2 where you can relax in the utmost comfort during your couples’ escape to the Cabo de Gata. They boast a double bed or two single beds, fridge, television, safety deposit box and a private bathroom with toiletries. The majority of these rooms also a feature a terrace.